It’s not uncommon for TV shows to inspire viewers to campaign to keep it on the air. However, TLC’s Myrtle Manor has some people so upset that they want to see that series cancelled. 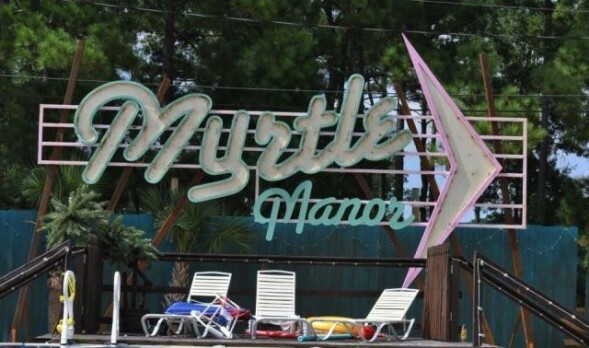 Some people feel that the Myrtle Manor reality show is giving Myrtle Beach, South Carolina a bad name and will negatvely affect tourism. There’s a Facebook campaign to have the show cancelled — or to at least remove “Myrtle” from the series title. The “Help Get “Myrtle Manor” Cancelled” page was established the same day that the second episode aired and has nearly 2,400 supporters so far. The campaign doesn’t seem to be having impact so far though. The first season recently wrapped and the show’s already been renewed for a second season in 2014. What do you think? Have you watched Myrtle Manor? Do you think it should stay on the air? Are you more likely or less likely to visit Myrtle Beach because of the show? More about: Myrtle Manor, Myrtle Manor: canceled or renewed? tlc renew this whimsical adorable reality show! I dont understand why you cancelled such a great show! So many bad shows like THE 19 KIDS AND COUNTING and KATE & JON PLUS 8, such negative publicity. This is real people just being themselves. PLEASE reconsider!!! THANK YOU! Cant believe the show is cancelled. PLEASE BRING IT BACK!! Please bring back Welcome to Myrtle Manor! We love it in Phoenix!! PLEASE!! !